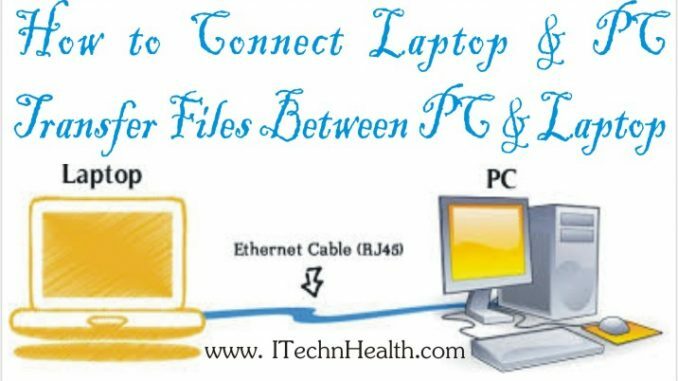 If you have need to connect laptop with your PC so that you can easily transfer some data or files between PC and Laptop without any IT expert then this article is very helpful for you. This will help you to connect your PC with your Laptop. 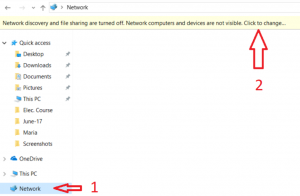 This article teaches you how to share files and Internet from a desktop computer to a laptop computer by using an Ethernet cable. Keep in mind that Macs no longer have Ethernet ports, so you’ll need a USB-C to Ethernet adapter for your Mac if you want to share files or Internet through Ethernet. By using this method you can transfer your files through PC to PC, PC to Laptop or Laptop to Laptop. For this you need a cable with RJ 45 connector that’s are also used for make internet connection. 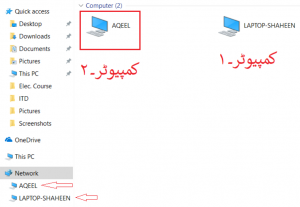 The method I am sharing with you are for windows 8 and 10 but this method will also work with any windows like XP. 1. First Turn off WiFi of both systems. 2. Now Connect both system with a data cable RJ 45 Connector. 3. When you connect data cable a network sign with yellow color will be appear on both system on task bar. 4. Now you need to open Network and press on Click to change. 5. 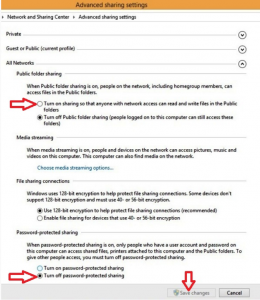 Now turn on network discovery and file sharing for all public networks. 6. Press F5 or refresh with you mouse button. After you refresh your PC you can see both PC Icon. 7. 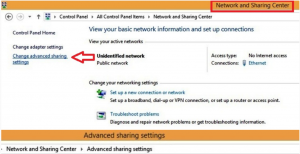 Control panel>All control panel Items>Network sharing centre>Change advance sharing setting according to image given below. Make changes where you can see Red Arrow sign and save all changes. When you save the changes on both PC they will be connected with each other. Now you can share files between both pc.